People have asked me if having a discerning, if not critical eye, for good design is exhausting in a world I tout as poorly designed. The question is usually good natured but it is certainly true that I spend a lot of time thinking about how something can be at once easier to use, nicer to look at and simpler to build. 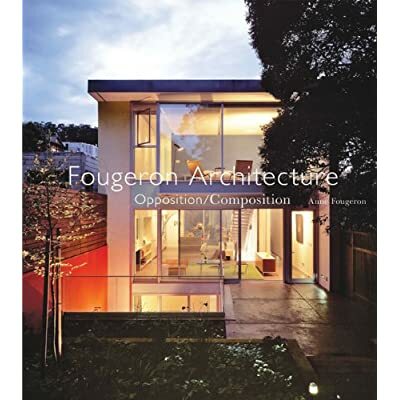 It isn’t a theory I only apply to architecture but day-to-day designs. It seems that things in my everyday life are always more complicated than they need to be. 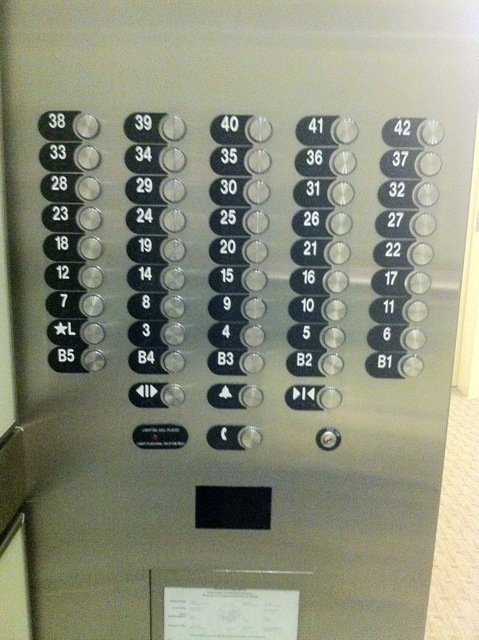 I live in a high-rise which has, imaginably, elevators and then rows of buttons for all of the floors (42 in total). However, due to a desire to save space or perhaps sheer thoughtlessness on the part of the elevator company, the alignment of the buttons causes much confusion every day. No one can find the button to any floor other than the lobby or their own. Note on elevator the absence of the “wicked” number 13, this ruins the ratios so sometimes difference between numbers is 5 and others it is 6. At this point it is less of a nuisance for me and more so just a reminder of amusingly bad design. But what is irksome is that this elevator isn’t an anomaly – we frequently adjust ourselves to bad design, especially if we encounter it on a daily basis. I’ve considered coining the term “bad-design blindness” as a form of vision bias for years now. My friend, Francesco Antinucci, despises our complacency towards design that is not innate. He once told me that no one knows how the buttons on their cooktop work innately. He told me to close my eyes and try to remember which knob turned which burner. I could only remember that the lowest knob turned the burner closest to it and none of the others. This is because this stuff is designed by engineers with abstract concepts rather than with a deep knowledge of how the human brain works. But to answer the question I began with – yes, it is exhausting to walk through the world thinking of all the ways design could be improved but it still doesn’t mean I would have it any other way. I work for an elevator company and perhaps for the one that provided the elevator buttons shown above. They look like our product but I am not sure. I certainly agree that the overall design is confusing and difficult to use. I have been in buildings with similar arrangements and had difficulty finding my floor button. •	Be on the front of the elevator cab if the elevator has center opening doors. (not sure about the door arrangement on this project). •	All floor buttons and emergency controls be located between 35” and 48”. Before the advent of ADA, the elevator industry would have arranged these buttons in three rows. The arrangement would be easier to “navigate” for many users but of course impossible to use for wheel chair users of other with limited mobility. We certainly support the goals of ADA but it does require some tradeoffs. We attempt to make the arrangement as clear as possible given the above constraints. The lack of floor marked 13 is often confusing and does add to the problem. We get floor markings from the owner and many don’t want us to include 13. There is some movement in the building codes to follow the European model of marking the floors with “0” for the main landing and any below “0” as “-1, -2, etc. and any above “0” as 1, 2, …..
Keep pushing us on design issues. We can have “bad-design blindness”.